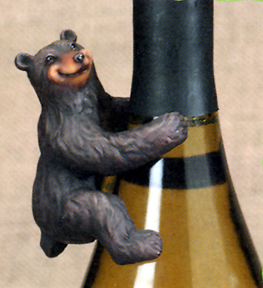 Unfortunately, these bottle climbers have been discontinued by the manufacturer ... so when they're gone, they're gone. Don't let these pass you by ... order yours today before they all become extinct! These are just too cute so we couldn't pass up getting some other styles in addition to our favorite, the parrot (which is no longer available)! 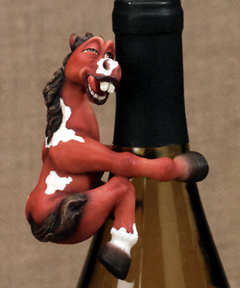 Each bottle climber has a happy face and looks great on almost any bottle! These make great gifts and stocking stuffers too! 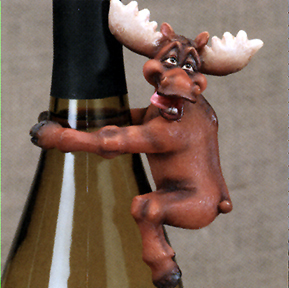 We have a few in our kitchen on decorative oil bottles ... they look great and put a smile on your face! 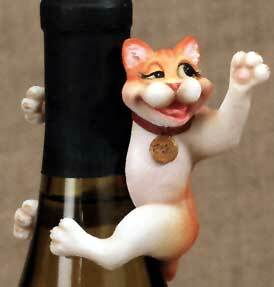 Be sure to check out the versatile, humorous bottle holders, coasters, bottle openers and corkscrews to complete your collection or for some unique gift ideas ... they are a great way to add a bit of whimsy to any decor and guaranteed to win lots of giggles and grins!